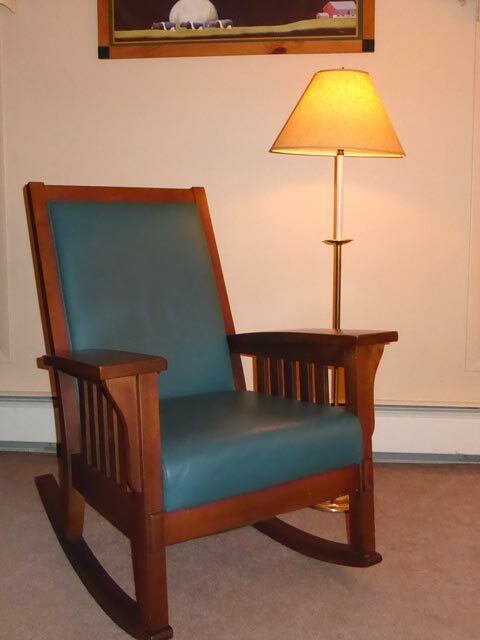 Sit back in the comfortable teal leather rocking chair in Room 1 and relax. You have found a place to enjoy a quiet get away from a busy world. In furnishing Room 1, Mary and Bill have chosen a Mission decor. 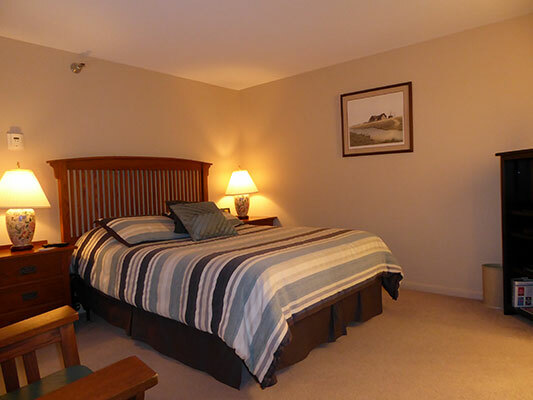 Room 1 includes a comfortable Queen Sized bed, teal rocking chair, a huge chest of drawers and matching side tables. Pictures complementing the furniture include a painting of a rural farmstead, and a field of Vermont cows in moonlight. Like all rooms at Birch Ridge, Room 1 includes a private bath, HD television, an alarm clock with a usb charging port, and complimentary WiFi internet access. Use our Room Rate Calculator to price out a vacation in the Mission Room.